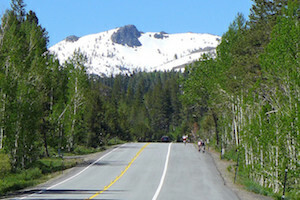 Sierra to the Sea is a scenic and challenging 8-day California bicycle and camping tour. New this year, Tent and Porter option! 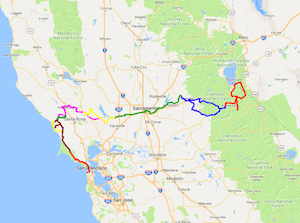 We ride again this year from Lake Tahoe, cross the Sierra Nevada, then traverse the Sacramento, Napa and Russian River Valleys, to the Pacific Coast. The tour finishes with a ride across the Golden Gate Bridge and a picnic in Golden Gate Park. 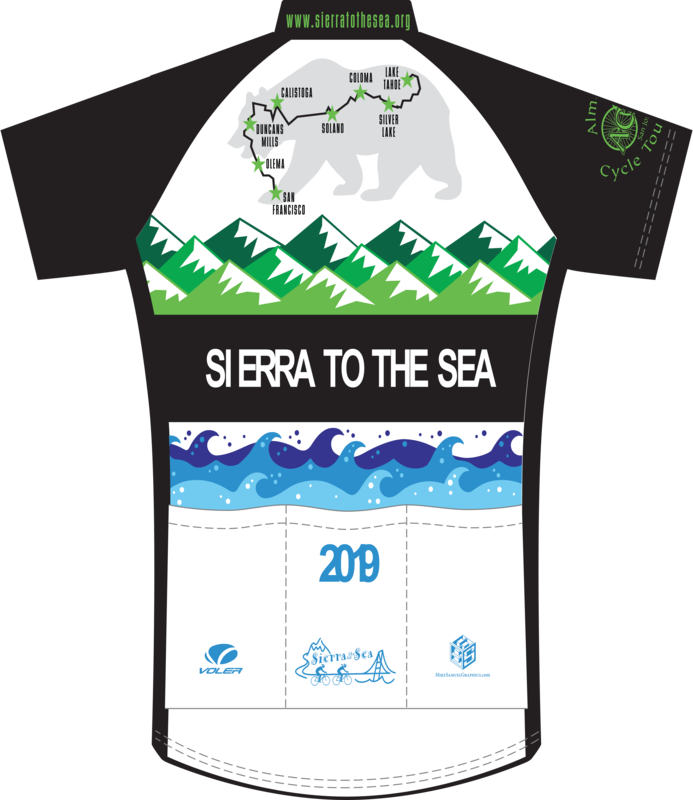 This is the 32nd anniversary of our tour, and we are excited about our new Lake Tahoe start and the revised route. See Where We Go. The tour route is approximately 420 miles long and averages 60 miles per day for each of seven cycling days. It is challenging and designed for experienced riders. Some less strenuous route options are provided, as well as options for riders who wish greater challenges. 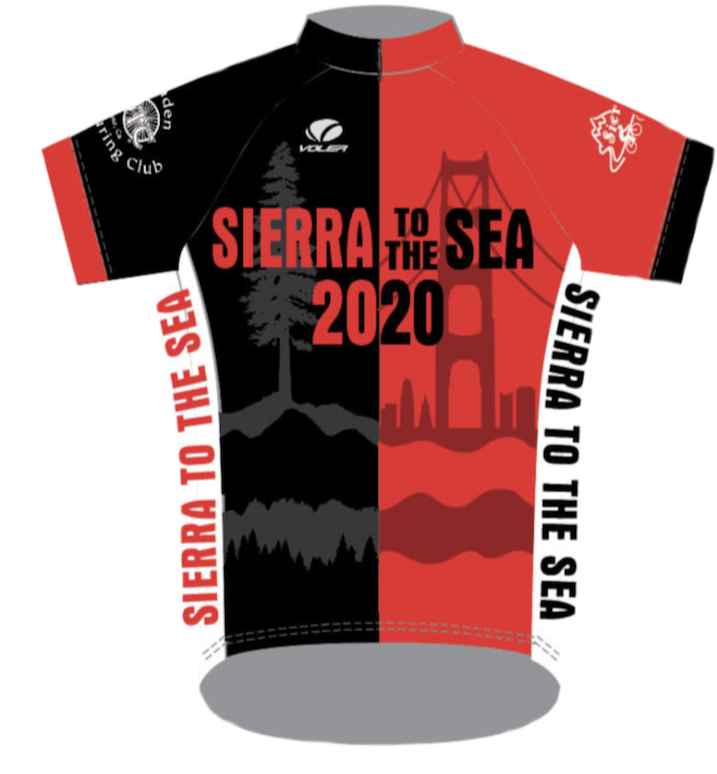 Sierra to the Sea is organized by the Almaden Cycle Touring Club of San Jose, a not-for-profit organization whose Tierra Bella Century has, for over thirty years, been one of the most respected and successful rides of its kind in California.